Seabrook Island is a lush strip of beach, ocean resort and maritime forest just south of Charleston, and about 25 minutes drive from the historic city. Named for 19th century cotton planter William Seabrook, the island was first inhabited by ancient Indian tribes thousands of years ago, and artifacts can still be found from various eras of civilization. Like most barrier islands along the pristine South Carolina coast, Seabrook Island is blessed with miles of protected beaches on one side facing the Atlantic Ocean, acres of giant live oaks and green spaces behind windswept dunes in its central core, and expansive marsh estuary on its inland side. The rich soil that gives Seabrook such splendorous growth of trees and flowers was coveted by planters in colonial South Carolina, and the 7- square mile island produced huge crops of long-staple cotton throughout much of its history. Because so much of the island was given to agriculture, it was sparsely inhabited for much of its history, and it was not until the latter 20th century that the first significant development came with homes and condos that were designed to blend with the natural surroundings. Nature is the most compelling reason for a Seabrook Island address, as it provides a panorama of grand views and wildlife, as well as a multitude of recreational opportunities. As a gated community that is incorporated as a municipality, Seabrook Island protects its beautiful perspective and encourages environmental awareness of this coastal Garden of Eden, which is a haven from busy lifestyles although within a short drive of the many great restaurants and historic sites of famous downtown Charleston. There are fashionable shops and good restaurants at the nearby Bohicket Marina Village, as well as available kayak rentals, inshore and offshore fishing charters, and guided nature tours. Seabrook Island features two championship golf courses and an equestrian center, and both hiking and horseback trails are a great way to discover the beauty of the island. 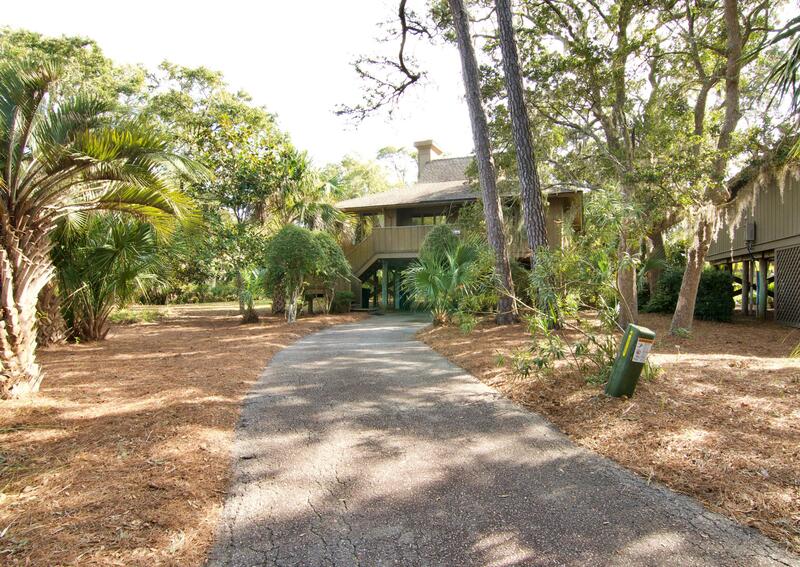 The ultimate in pleasurable perfection on Seabrook Island is, of course, its fascinating beach. A walk along its pounding surf line at dawn or dusk is the ideal escape into the mesmerizing forces of nature. The smell of the fresh sea air, the feel of toes buried in fine white sand, the sounds of shorebirds echoing amid the rustling sea oats bending in the soft breeze are there to be enjoyed every day. Seabrook beaches beckon dolphins that pop up amind the cresting waves, and an assortment of whelk, starfish and lettered olives that wash in with the tide. Overhead, pelicans soar, and osprey strak by, and in the distance, quaint shrimp trawlers plow the restless sea. Seabrook Island has a long history of providing - abundant game for ancient natives, cotton and timber for colonial settlers, and for those who chose it today, a wonderful place to call home.